Welcome to Rock n Rhapsody. 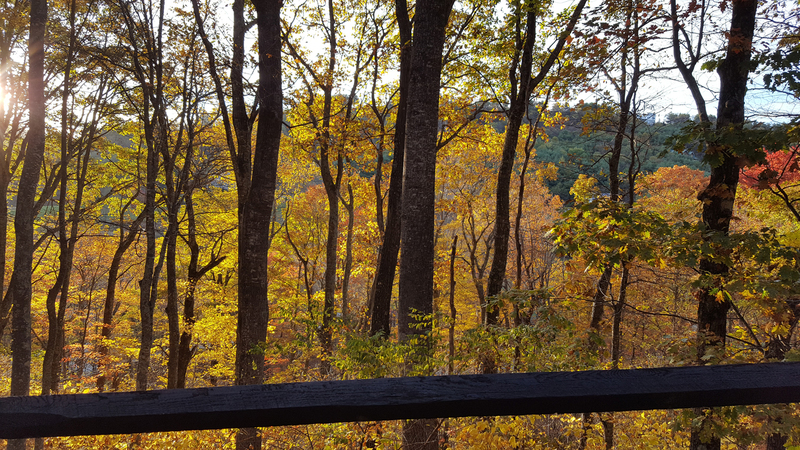 Privately tucked in the woods yet only minutes to downtown West Jefferson. Great room floor to ceiling, stone fireplace. 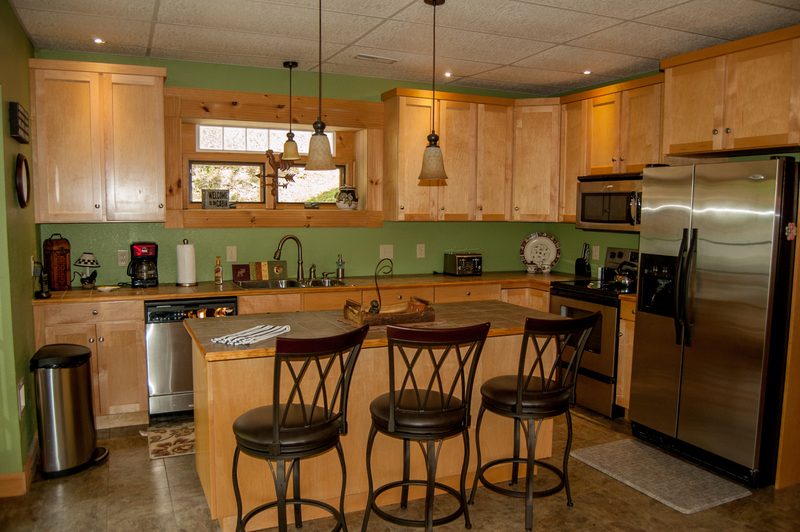 Fully equipped kitchen with refrigerator, electric stove, dishwasher, microwave, toaster and coffee maker. Walk out to the lower level patio with propane grill. 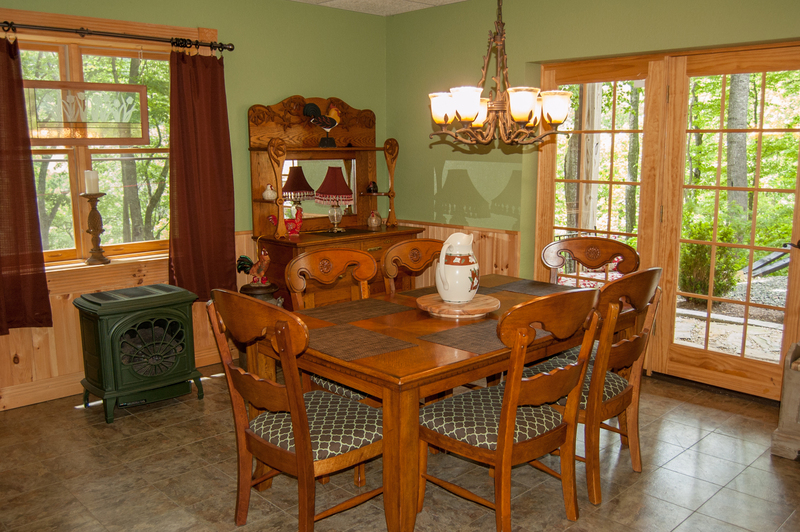 Dining Area for 6 people. Lots of space to gather. Lower level media room with books and games. Flat Screen TV with Internet Roku Player. 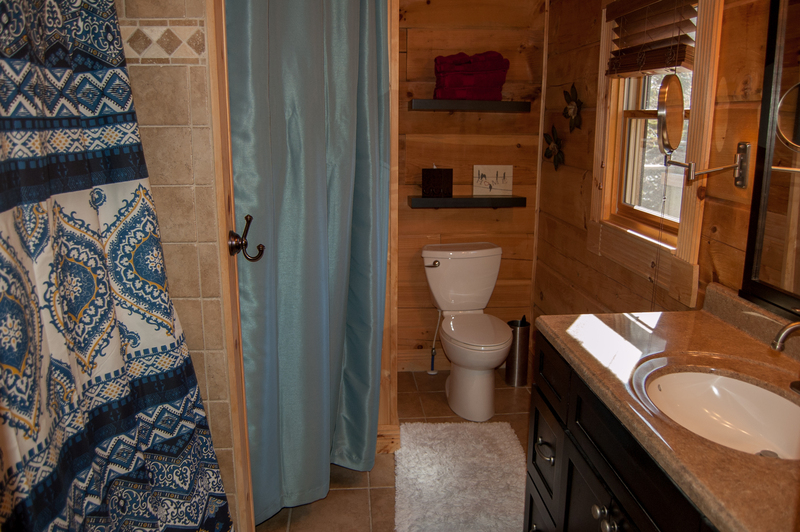 Lower level shared bathroom with walk in shower. Great room with cathedral ceilings and exposed beams. 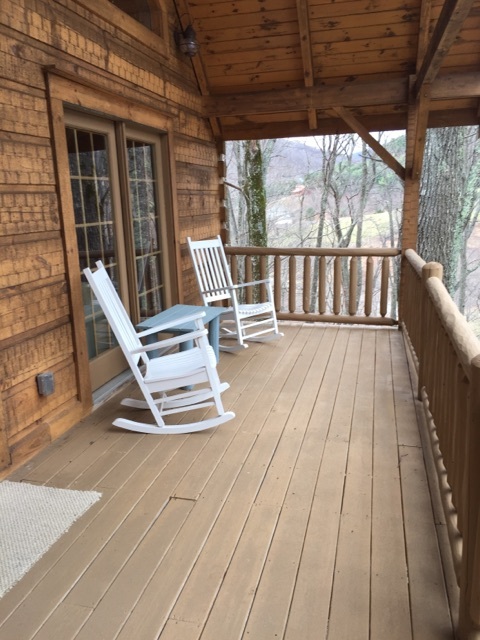 Gas Burning Fireplace and walk out access to the covered porch with rocking chairs and porch chairs. Flat Screen TV with Roku. Comfy couch and stairs that lead to third level. Master bathroom with walk in shower. 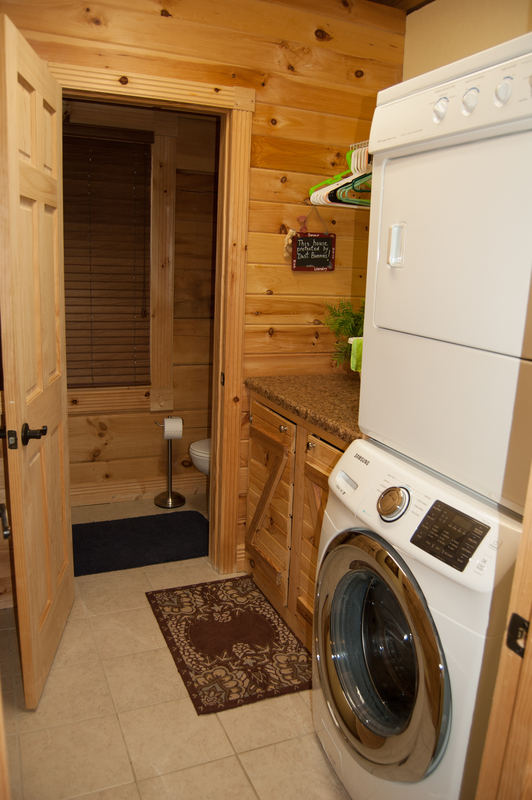 Additional on the second level is the laundry room and 1/2 bath. 3rd level bedroom 1 with queen size bed. 3rd level bedroom 2 with queen size bed. 3rd level bathroom with tub/shower combo. 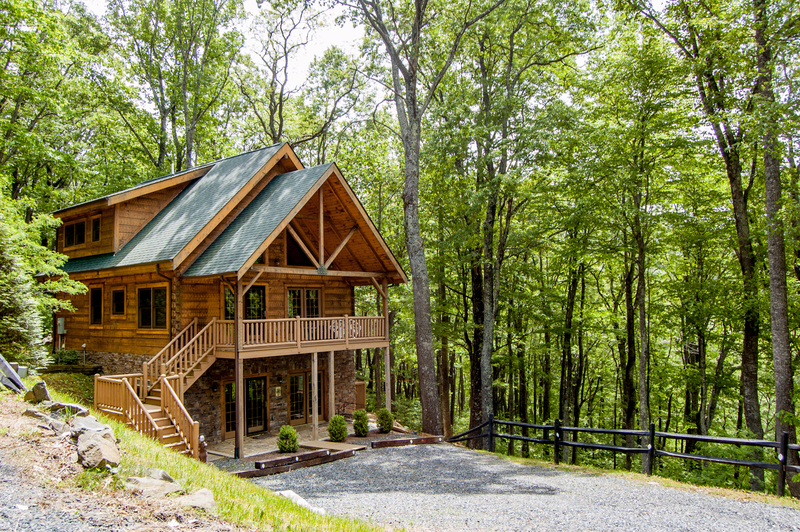 This mountain beauty provides the ambiance you're looking for, with the comfort and convenience that makes your vacation perfect. 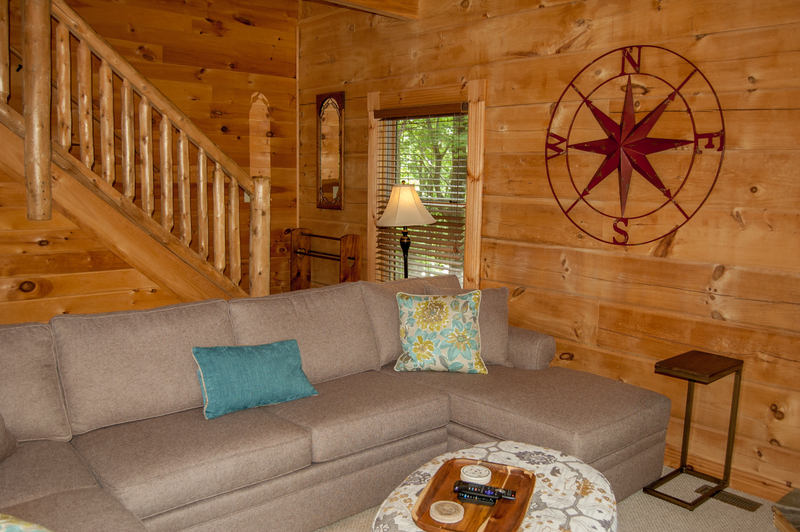 It boasts beautiful wood paneling and antique furniture throughout, and is gorgeously equipped with all the supplies, kitchenware and linens you'll need. This is a great choice for families or large groups, because there's not only plenty of beds and bathrooms, but also two separate living spaces - with two TVs! 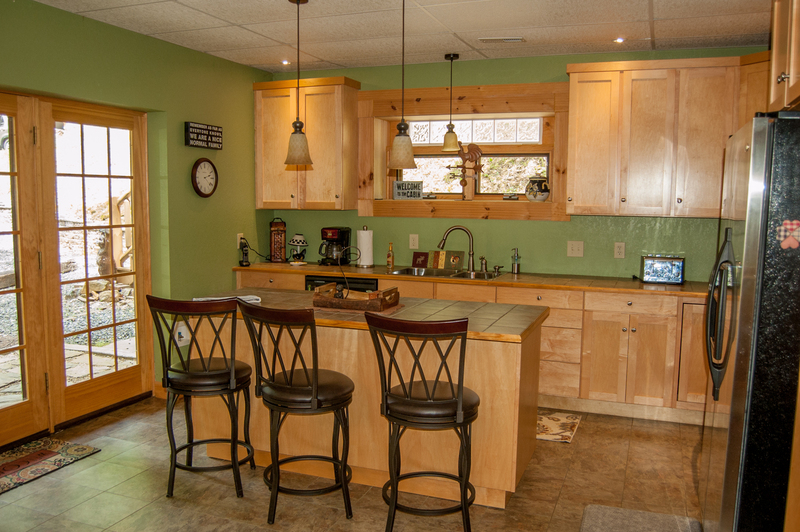 The airy kitchen is spacious, updated and well-stocked with extras, including an island with additional seating. The media room on the first floor (conveniently located next to the kitchen) offers a flat-screen TV with Roku and a game table. Its open floor-plan includes walk-outs to the patio and gas grill. 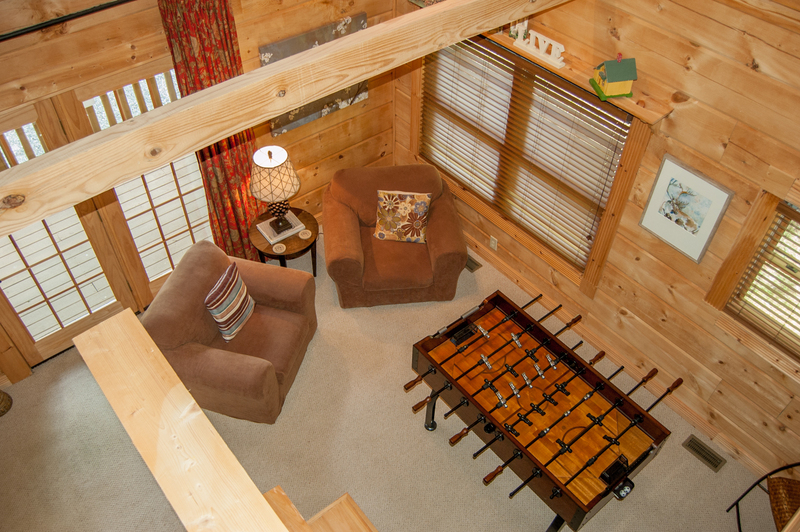 One floor up, a second great room offers an additional TV and lots of plush, comfy couch space. 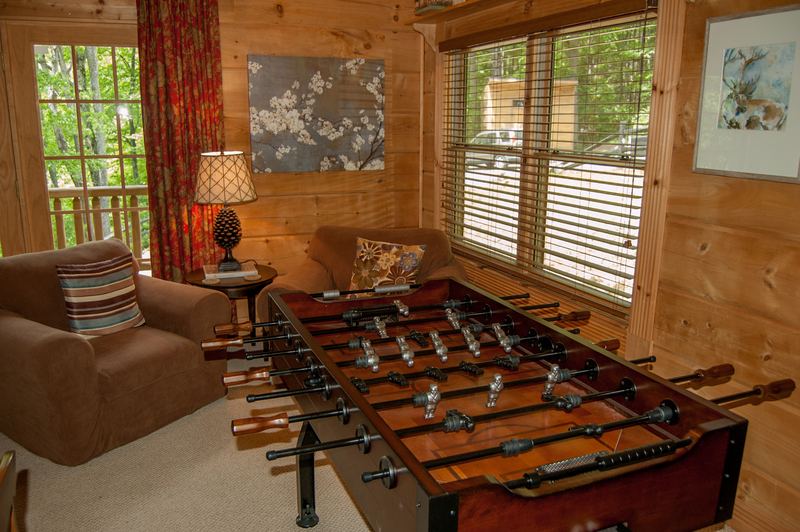 Everyone gets their own space to relax and entertain in! To help you get a feel for the lay-out: The first floor has the open-concept kitchen, media room and dining room, as well as a powder room AND a full bathroom. 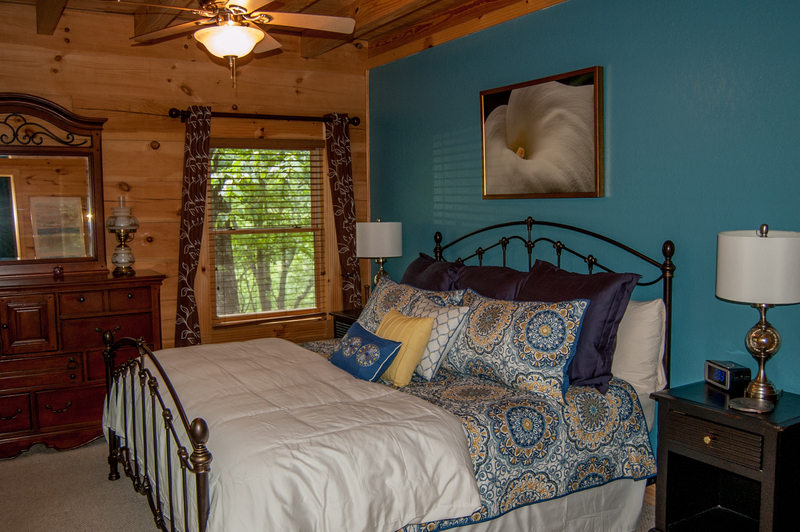 The second floor has the master bedroom with en suite bath, and the great room, with walk-out to the porch. 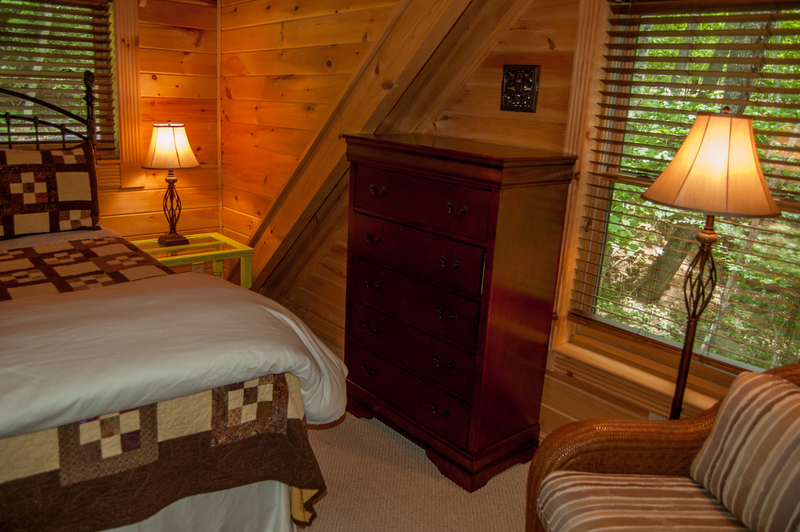 The third floor has two homey bedrooms with queen beds, and a full bath. There's even a bathtub for small children, or anyone who enjoys a relaxing soak. 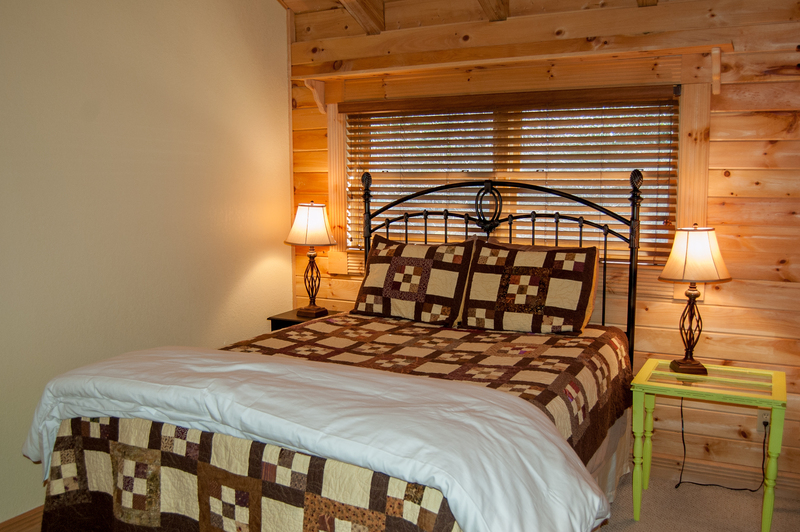 Although the soft mountain breezes are likely to keep you cool, we've also outfitted your vacation get-away with central air conditioning and ceiling fans. 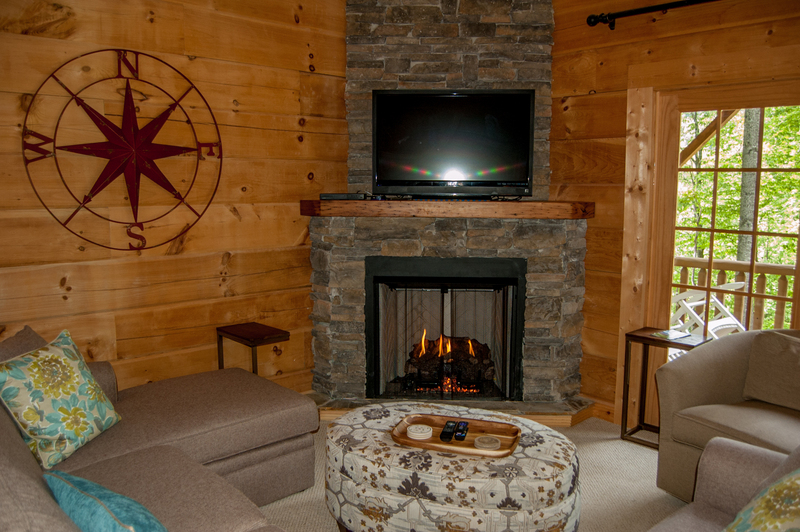 In the winter, the fireplace provides lots of snuggling opportunities. The exterior features a covered porch as well as a patio for grilling out. The home's wall of windows keeps the interior light and airy. 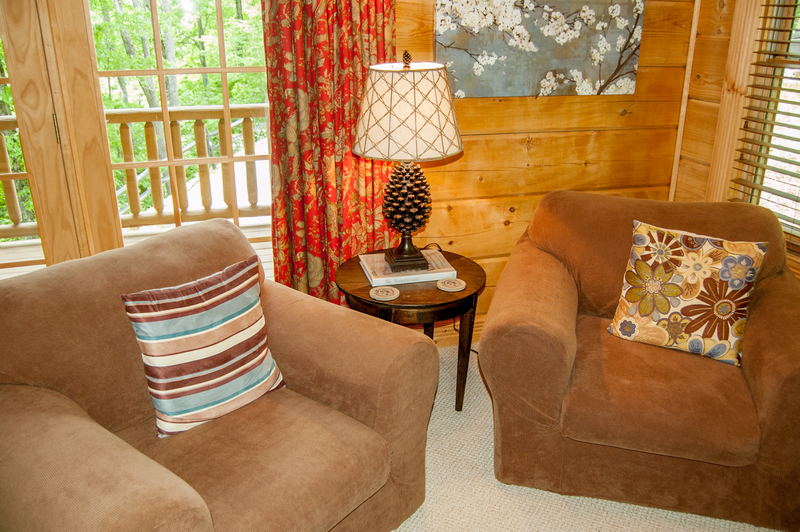 There's a bright and comfy reading nook for quiet moments, and high-speed internet to help you stay connected. Additional features include a large laundry room with modern appliances, and plenty of off-street parking. 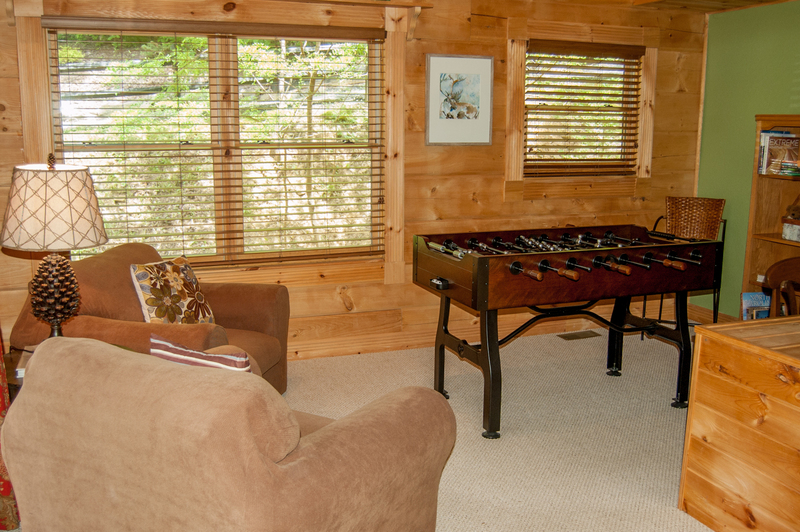 Bring your friends and enjoy your High Country adventure in peaceful comfort! Rock n Rhapsody is conveniently located off Buck Mountain Road in the quaint mountain town of West Jefferson. This is the heart of the High Country, offering a huge spectrum of attractions and outdoor recreation. West Jefferson gives you restaurants and terrific shopping, including antique stores and art galleries. There's even a quaint movie theater. This is small-town Americana at its finest. Drive a little further to Boone or Blowing Rock, for an even wider assortment of dining, entertainment and shopping options. Tour the campus of Appalachian State University, or visit our craft breweries. And remember that here in the High Country, the journey is as satisfying as the destination, with gorgeous scenery at every turn. In the winter enjoy skiing, snowboarding, snow tubing or ice skating at one of the many area resorts. In spring or summer, the New River offers tubing, kayaking, canoeing and fishing. 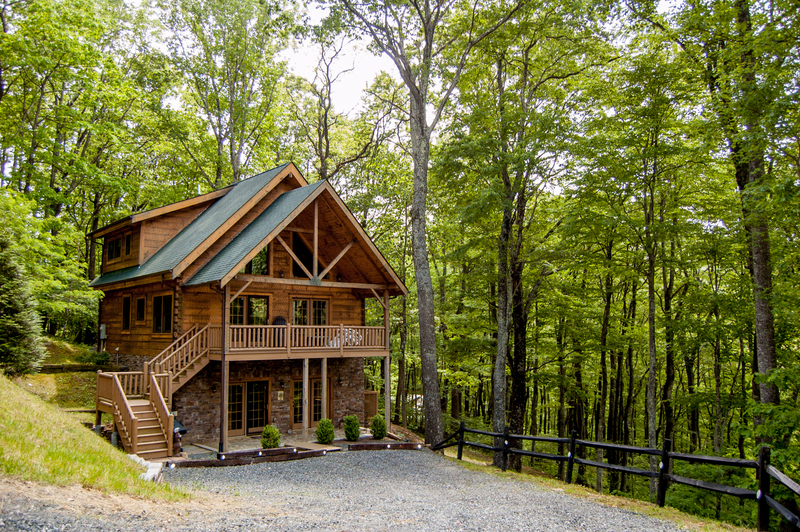 Warmer months are also a perfect time for horseback riding, hiking along the Blue Ridge Parkway, or bicycling through the area's many scenic routes. If you're a sportsman, don't forget to take advantage of our outstanding trout and small bass fishing. Or - just sit on the porch and feel the stress of the city melt away. "When we arrived everything looks so great.. Love the view and very peaceful out there. 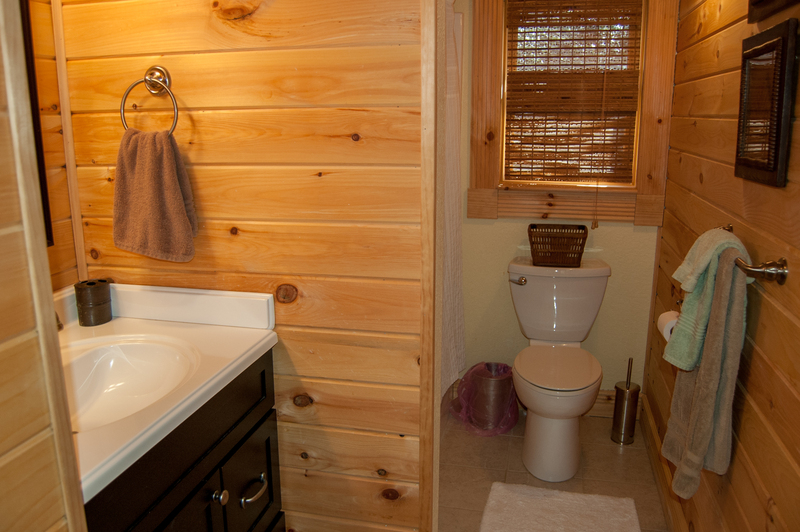 Everything looks so clean we love cabin very much plenty of rooms and bathrooms for everyone. Only thing we couldn't watch TV cuz of WiFi difficulties. But overall we really enjoyed our stay there and we definitely come back again. Boys definitely enjoyed play the Foosball. " "Nice clean house with a very good location. " 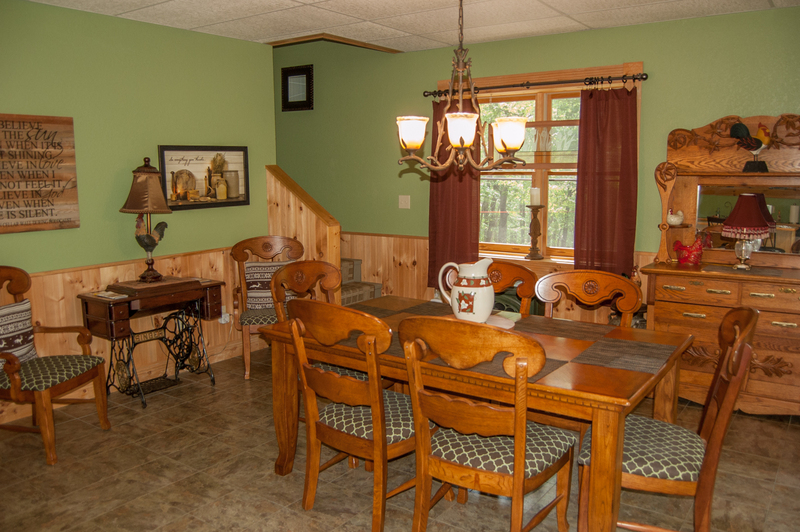 "Rock n Rhapsody was the Perfect cabin for our family when we were in West Jefferson for our daughter's wedding. You could advertise with 16 Hands since the location was only a short distance from the venue. The house was beautiful, well kept and clean. Only a short distance from downtown West Jefferson was a bonus. We hope to return as a family for a vacation in the future." "We literally drove to West Jefferson during a hurricane (!) and were so happy to make it to the mountains! 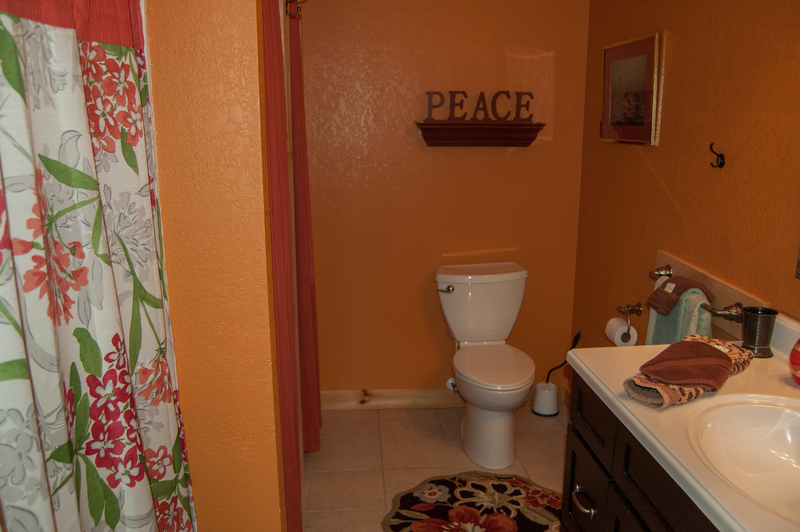 This home is very comfortable, beautifully decorated, and well-stocked. The driveway is not marked very well below, we had to make a choice of four driveways and luckily chose the right one. It was so wet that we spun our tires, but we finally made it up the hill. I would recommend 4-wheel drive in inclement weather. Other than that little adventure, we had a wonderful time. Even the lack of 'live' television didn't bother us-we played board games, went out to eat and shopped. Many thanks to the wonderful lady at the property management company for her help with the WiFi password. (That needs to be updated in the owner's notebook.) "
"It was the perfect place to relax. Private but not remote....very peaceful." "The property is hidden away and tranquil, but is still only 10 minutes from a well stocked grocery store. 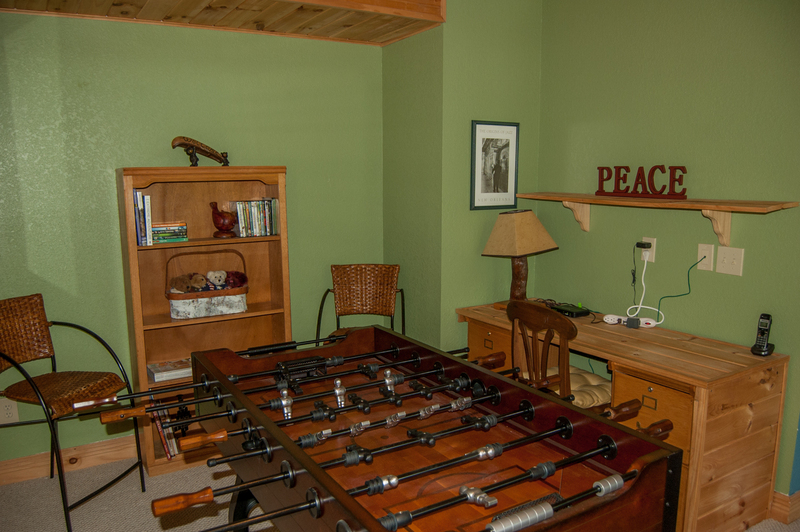 The home is cozy, and well lit with comfortable furniture (a major plus) and the layout creates different spaces for group and solitary activities, making it perfect for families. 15 minutes down the mountain is the main street, with its own brewery, cheese shop, and multiple antique shops and art galleries. And bring so far up the mountain, the temperature was cool and comfortable in the middle of summer. My family and I had a fantastic and relaxing time." 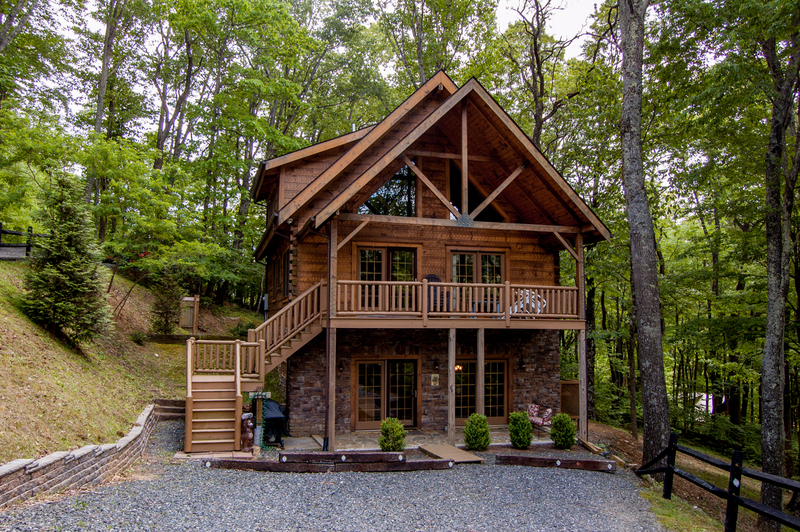 "This cabin was perfect! It fit our large family wonderful and it was even better than expected. Yes the drive/road to get to the cabin is a little confusing at first and also rocking, but it is the mountains so I feel that is to be expected. I noticed a few reviews complain about the steps. They were no issue. And again we expected steps in a 3 story home. One of the smartest set ups if you ask me (a women). The kitchen is on the bottom floor which makes hauling in groceries, drinks and food very easy!! Again I can’t rave enough about this house. It was very clean and comfy. The only suggestion I could make to make it better would be the rooms need real curtains so that the light doesn’t shine In At 6 in the morning. But other than that it was perfect. Plan to stay their again! " 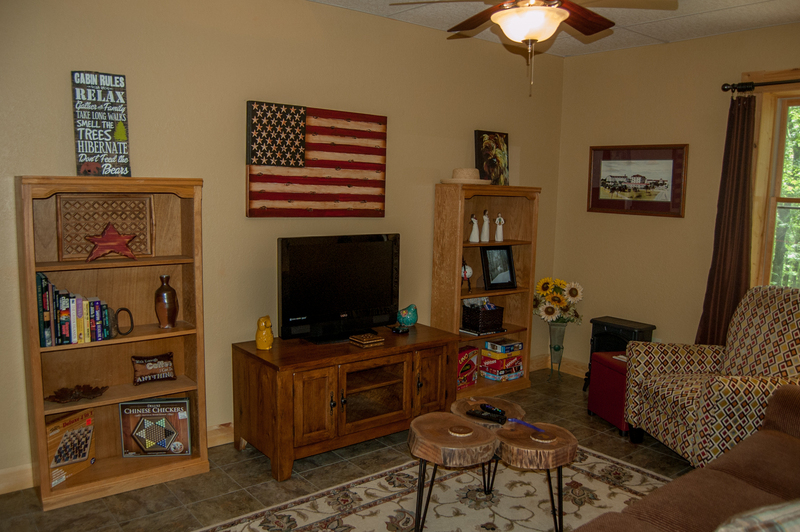 "This was a very clean and comfortable home with all the necessities. We were glad we had 4 wheel drive to climb the final road to the driveway. It was nice to arrive and have toilet paper, paper towels and soap available until we could get ours out. The multi levels worked great for our family and we enjoyed playing games in the great room as well as eating in the kitchen on the first level." "as many of the reviewers have indicted it is an 'odd' layout, however the kitchen and dining on the bottom level is very workable. the new fire pit was very nice. please note the challenges with the road and the driveway. identifying the road to the house once off the main road is difficult, it would be a good idea to put up a sign OR just mark the driveways where you have three choices.i had a large trailer and 4 wheelers the first day, turning around and backing down the driveway was helped by opening the neighbors gate across the street. turning around and getting in and out needed some 4WD with just my truck each time we left the house. gas in the grill tank, replaced the next day, the CODE for the lock box had been changed and luckily we were early and called to get the new one. updated info (email) would have been nice. a very nice area, very close to town, east buck mtn goes right into the back of down town, games and TV/music options were great. PW in 'pencil' is the correct one, not the printed one. capital letters should also be noted." "Great location! Odd layout, be prepared to climb steps. Clean, would definitely stay here again." 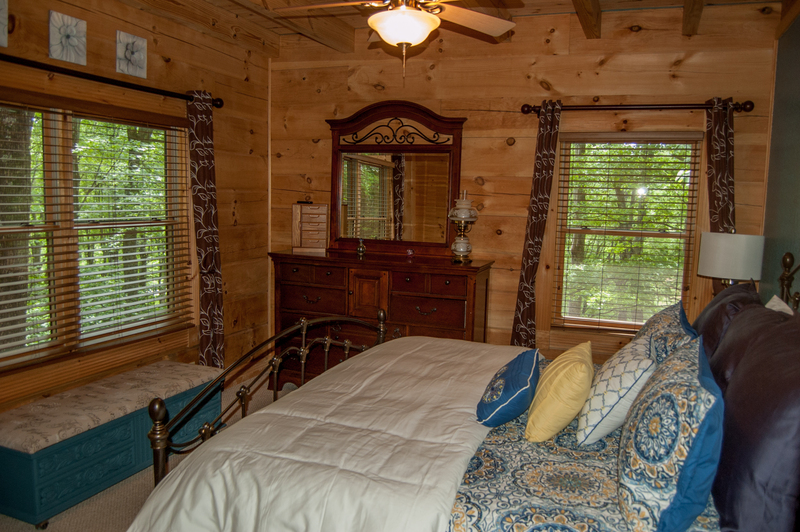 " Very well maintained cabin. Nice decor. 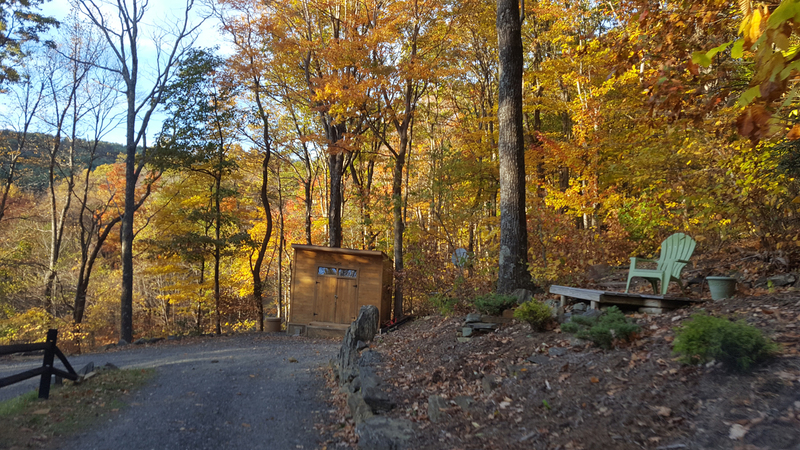 The neighborhood road leading up to the cabin is gravel along with driveways so a little difficult to find at night. Recommend getting good directions and arriving in daylight." Thank you for the feedback. We appreciate the suggestion and are in the process of adding solar lighting for our nighttime travelers. "Overall great vacation home. There are a lot steps to climb so older folks beware! 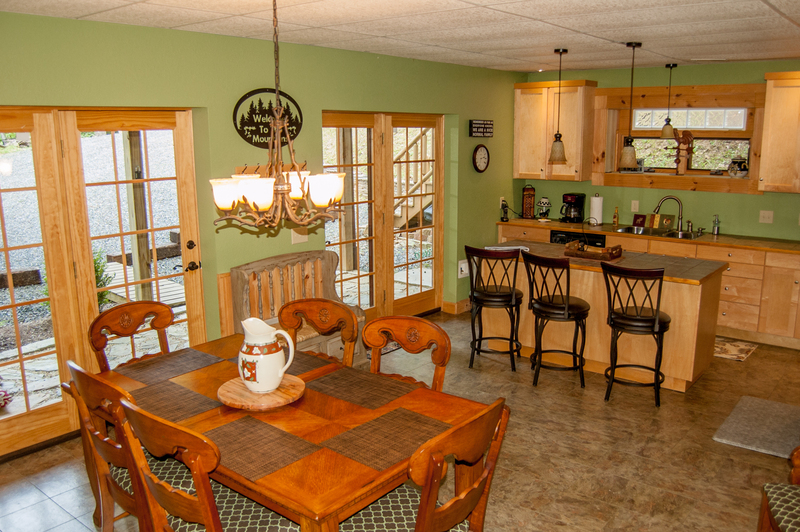 The layout is unique such that the kitchen/dining and a keeping room is located on the first floor, living room and master bedroom on the second, and 2 bedrooms on the third. This facilitates several trips a day up/down the stairs. If this is not a problem for you then this is the perfect house. 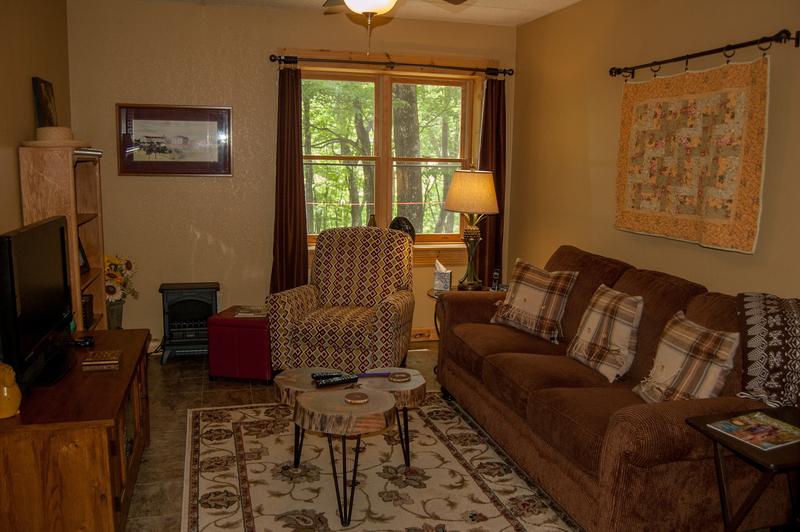 It is nestled into a beautiful location so you can enjoy the surrounding serenity and wildlife. The cleanliness, kitchen equipment were superb. Another draw back for some is the Roku network for television. Roku is subscription only and there were only a few provided. We could not get any live broadcasts from nearby local stations nor national news from the major networks. The Reuters network is the closest we had for international/national news which are clips. The only live station was from Birmingham, AL. Novices Beware!! if television is your forte. We personally had a great time and really enjoyed the quiet!! " 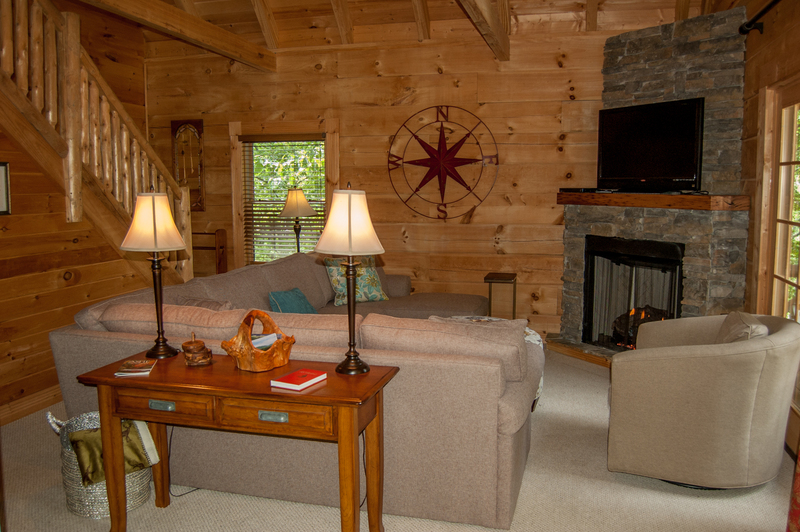 "We enjoyed our stay at the Cabin. Everything was clean and cozy, beautifully decorated and well stocked with all the basics. The beds were super comfy! As stated in the property description the kitchen and 3rd bathroom are on the lower level leading to lots of stair climbing. " We are very pleased you enjoyed your stay and hope you return soon! "We had a family reunion for my husband's father who is 90. It is a beautiful home, in a beautiful location. There were a couple of issues. 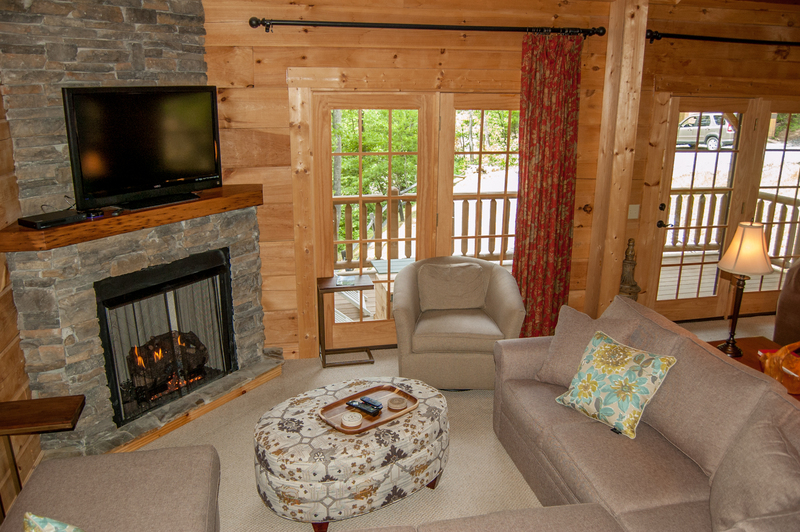 We had a lot of difficulty getting the TV's and Wifi to work, and the downstairs gas stove would not light. Directions in the Rental book need to be updated. The weather was beautiful and we wanted to open windows, but the screens and sashes were filthy with dust, dead spiders and bugs. We wanted an early check in as we drove over 9 hours, but it took 5 phone calls over 2 weeks to finally get the ok 2 hours before we could check in. That is unacceptable in my book. But the home is wonderful and despite these small issues we had a great time." Thank you for bringing to our attention about the difficulty you had working the tv?s, Wifi and gas stove . Our instruction manual should have provided all the instructions to assist you as they are in good working order- and we can always walk you through the steps. We are using your issue reference the windows, sashes etc, for our cleaners as a reinforcement of what we have listed in our cleaning checklist. We apologize for that and will work diligently to correct that shortcoming. Thank you letting us know. As far as the early check-in, we cannot answer that question until the cleaners have completed the property cleanup. When we have back to back check-ins, they have to have time to clean and usually we do not have early check-ins unless the property has had time for the girls to complete them. We are glad you had a great time despite the small issues and look forward to your returning to visit again. We appreciate your spending time with us and look forward to your return. 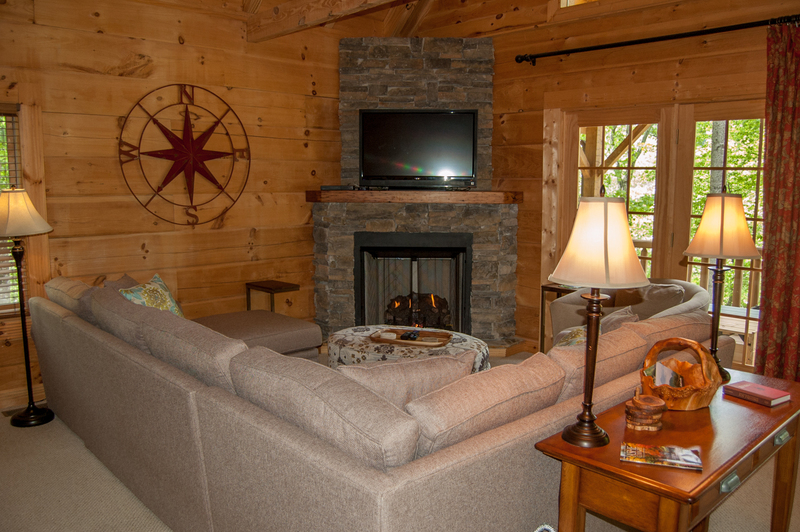 "We enjoyed the cabin tremendously. Decor and furnishings were top notch. Loved the king bed in the master. Kitchen was outfitted well, although a little different being on the lower level. We went out for our meals anyway, except quick breakfasts. We were on the go all weekend, touring App State, hiking Mt. Jefferson and shopping downtown West Jeff. A great time was had by all. Our only complaint is that it was VERY difficult to find in the dark (we arrived around 9 pm). Although we used google maps as instructed, the last street wasn't marked, and when approaching the cabin driveway it feels like you're going up someone else's driveway. The house numbers were impossible to see in the dark. Also, the door they ask us to enter and leave through (right door on bottom level), sticks against the trim work. We were so worried we'd break the door each time we had to leave, it's difficult to open. Probably just some swelling of the wood with humidity. 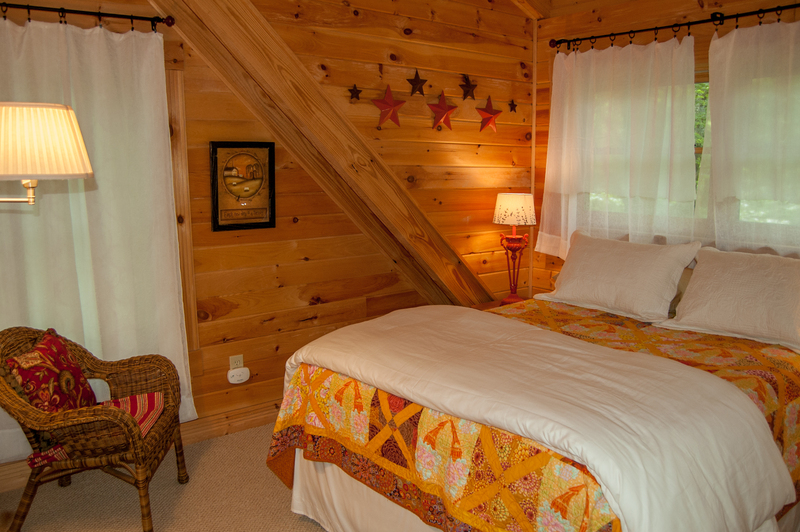 It was a very well kept cabin and lovely home." "Did not research as we simply wanted a place to stay away from hurricane Irma. It worked out great. Exactly as shown on the pictures, well equipped kitchen, clean and comfortable. " 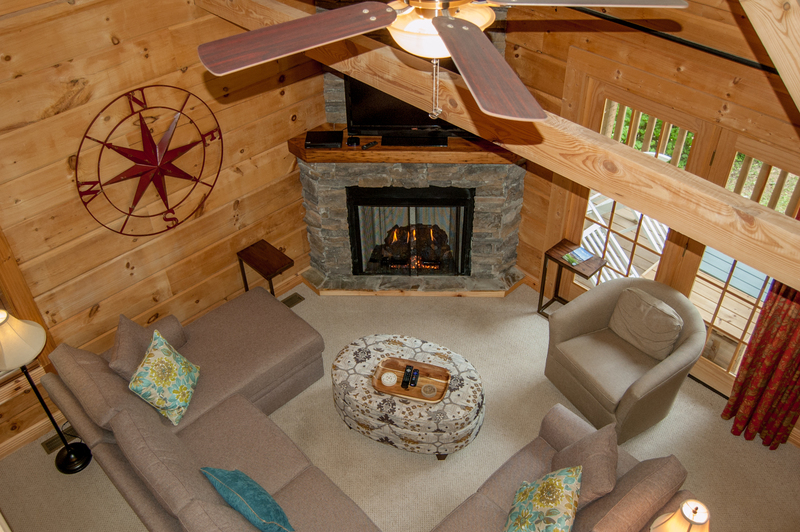 "The cabin has nearly anything you could want and the kitchen was well supplied. " 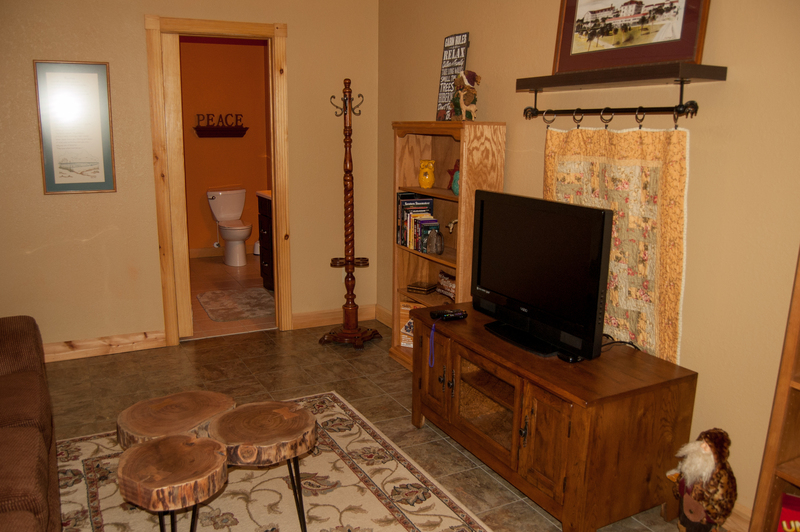 "Relaxing, enjoyable private location with proximity to town and other venues"